This is TRULY a Waikiki gem near the beach. 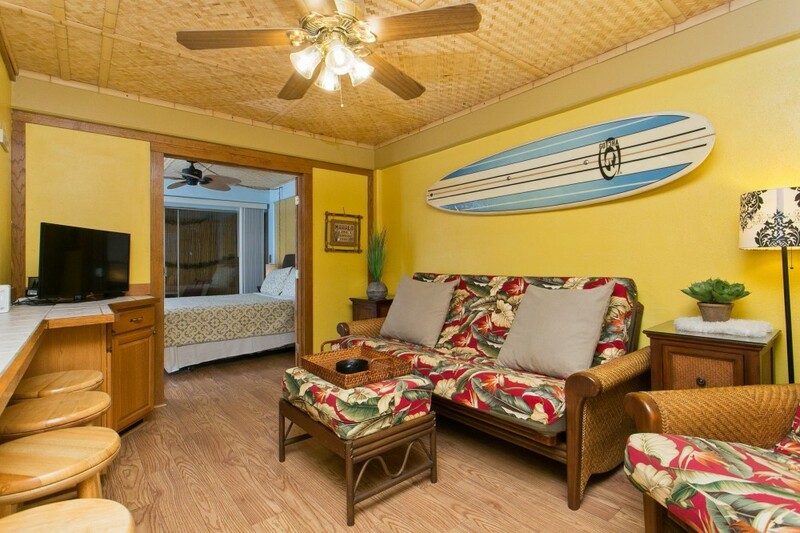 The unit has everything.... 2-Cable TVs (living room & bedroom), FREE-WiFi, AC, BBQ, Pool, Onsite Laundry, Room for Surfboards on Lanai, Queen-Sized Bed, Additional Futon Bed (sleeps additional 2) +Loaded Kitchen!!!! The bathroom area offers a separate vanity area, and shower with multiple massage settings.